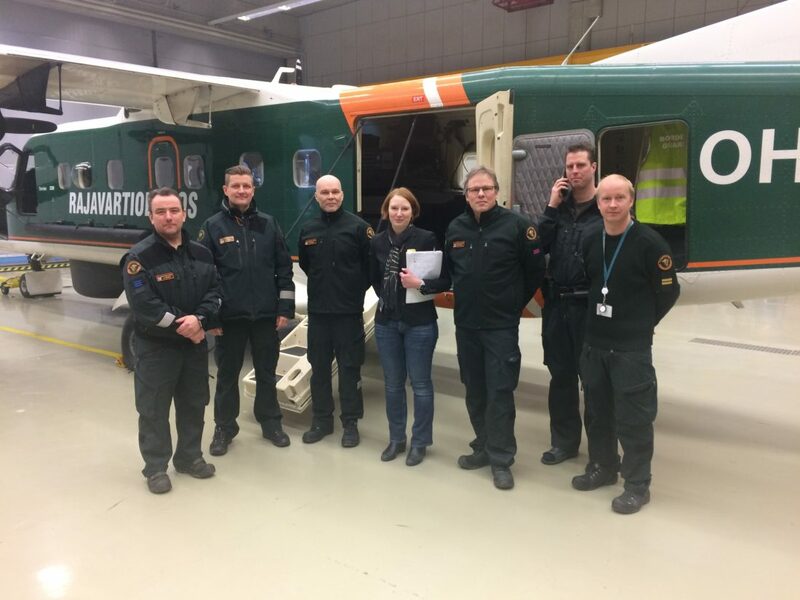 Operators from the Finnish Border Guard together with the course instructor from ST Airborne Systems in front of the MSS 6000 equipped Dornier 228. 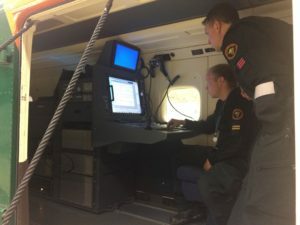 New operators at the Finnish Border Guard (FBG) recently participated in a two-day operator course to learn all the various features of the system and how to get the maximum benefit out of all the sensor information presented on the MSS 6000 operator console. The training was pleasantly enhanced by experienced operators also taking part and thus an exchange of experience and tips was made possible. Practical on hands training in one of the Dornier 228 aircraft operated by the FBG.